Growing up, I remember cooking often with my Mom, but for some reason, this specific recipe really sticks in my mind. 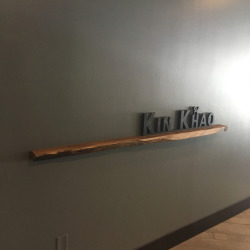 I was in elementary school, and a Girl Scout, and we had to do our cooking badge. I am not sure if my Mom took the afternoon off from work, or if we did our badge on a Saturday. All I really remember is that this is the recipe we made, and I was sure I never tasted anything better! Heat oven to 350F. Grease 12 medium muffin cups or fill cups with paper liners. Cream shortening with 1/2 cup sugar and egg. Sift together flour, baking powder, salt, and nutmeg and add alternately with milk to creamed mixture. Fill muffin cups 2/3 full and bake 20-25 minutes. Mix 1/2 cup sugar with 1 teaspoon cinnamon. Immediately after baking, roll muffins in melted butter, then in cinnamon-sugar. Serve hot. 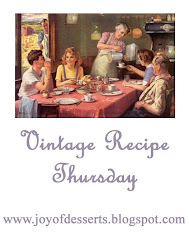 Visit Joy of Desserts for more Vintage Thursday recipes!